Lives and works in St Petersburg, Russia and Amsterdam, The Netherlands. 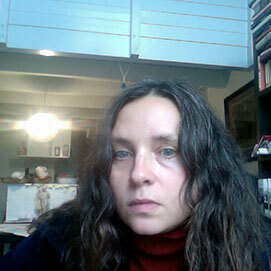 Considered as one of the pioneers of Russian Performance she co-founded the artist collective The Factory of Found Clothes (FFC) which uses installation, performance, video, text and “social research” to develop the concept of “fragility” – relationships between internal and external and private and public. In 2012, the FFC was reformulated to the Utopian Unemployment Union, a project uniting art, social science, and progressive pedagogy that gives people from different social backgrounds the opportunity to make art together. Since 2003, Gluklya has also been a co-founder an active member of Chto Delat? group. Gluklya’s work has been exhibited in Russia and abroad in numerous groups shows as well as solo shows, including Wings of Migrants, Gallery Akinci, Amsterdam (2012); Utopian Unions, MMOMA, Moscow (2013), Reflecting Fashion, MUMOK Vienna , (2013 ), Dump Dreams, Scedhalle Zurich, ( 2013); Debates on Division: When the Private Becomes Public, Manifesta 10, Public Program, St. Petersburg (2014), Hero Mother, Berlin (2016), Universal Hospitality (2016), Vienna; Feminism is Politics, Pratt Institute, NY (2016) as well as Clothes for Demonstration Against False Election of Vladimir Putin, 56th Venice Biennale of Art, All the World’s Futures, curated by Okwui Enwezor (2015).